TS ICET 2018 exam dates are 23rd & 24th, Results will announce on 7th : kakatiya University has been reveled exam dates of Telangana ICET 2018. Exam time table & timings are available on KU website. The TSICET 2018-2019 will be held on 23rd & 24th across the Telangana. The entrance exam is conducted for admission into MCA, MBA courses. This academic year 2018-2019, The TS ICET will be held in 58 centers in Telangana and two exam centers in Andhra Pradesh. 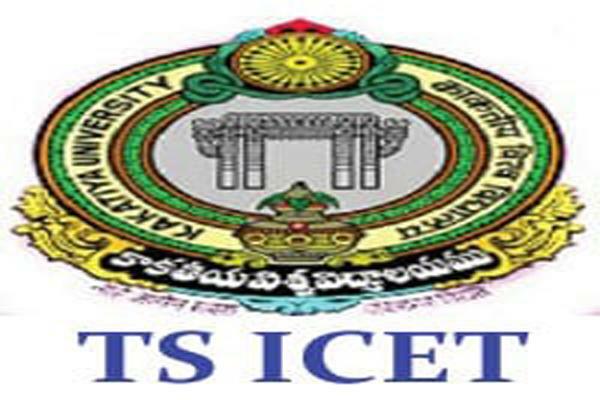 Over 62,400 candidates will appear for the Telangana ICET 2018. Candidates Can be downloaded their hall tickets from the online website. Last year, 73,000 applications were filed. This year it was 62,400, with more than 11 thousand applications were less compared to last year. Two exam centers were arranged in Andhra Pradesh one is Visakhapatnam and the other one is Vijayawada. For the first time, the TS ICET test is being conducted online. The TSICET 2018 will be conducted in two shifts one is from 10 am to 12.30 pm and second one is from 2 pm to 4.30 pm on 23rd of this month. A test will be conducted only one shipt from 10 am to 12.30 pm on 24th May 2018. One minute delayed at the scheduled time and not allowed in the test centers. Candidates will be required to sign the Gazetted Officer on the Hal ticket and also They has to come up with a proof ID card to exam centers. While Karimnagar has been set up by the Center for some of the candidates selected as exam centers, another 700 people have been allocated in different districts. The TS ICET results 2018 will be released on June 7th for the academic year 2018-2019. Whether the TS PRC 2018 execution date will change..?